??? ?One Is Just Not Enough, So Now We Have TWO Sweet Scion FR-S Models To Choose From!!!?????? A Sinister Black 6 Speed Manual Is Already Posted And Now A Custom Automatic 2016 Scion FR-S Just Landed. This Stylish Rear Wheel Drive Coupe Has Quite A Few Upgrades And Runs Like New Seeing As She Only Has A Mere 29k Miles On Her.?? Custom Paint Scheme! Black Trunk, Roof And Two Tone Hood. ?? Complete Aftermarket Invidia Exhaust! From Headers To The Tips She Is All Upgraded And Made Of Stainless Steel!?? Fully Adjustable Coil Over Suspension!?? 18" ESR Wheels! TRD Front Lip! Side Skirts! Full LED Smoked Lens Tail Lights! And...... A Ducktail Spoiler For All The Street Cred!???? This FR-S Is A Blast To Drive And The Paddle Shifters With Quick Shifting Response Makes It Even Better!?? Fast Lane Presents 5 Reasons To Buy This Car!!!!....#1. Enjoy Car Meets/Shows #2. Break Necks Daily #3. Make Your Haters Hate Even Harder!!!?? #4. Street Cred As Mentioned Before. #5. Save $ On Gas???? Maybe. Unless You Drive A Soul Less Prius.?? 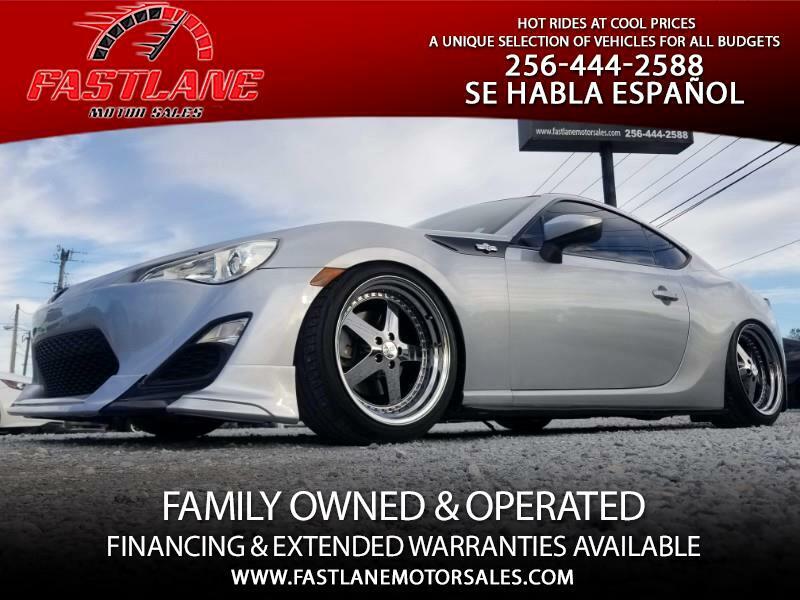 This FR-S Is Priced At $20,950 And As Always There Are Never Any Hidden Costs Or Fee's @ Fast Lane! Quit Monkeying Around And Go To Our Website Today And Find Your Next Dream Vehicle! Financing And Extended Warranties Available! Apply Online @??WWW.FASTLANEMOTORSALES.COM?? Pick Your Poison Here At Fastlane, We Fix Your Need For Speed! We have Many Unique Imports, Muscle Cars And A Few Trucks Are Available To View Online! Check Out Our Website For More Details! ALSO PLEASE LIKE AND FOLLOW OUR FACEBOOK PAGE & INSTAGRAM!? ?